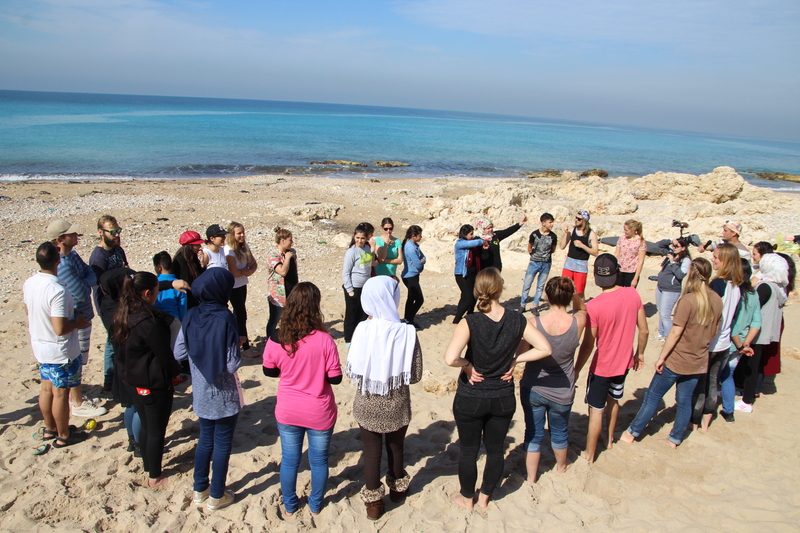 On Sunday 14th February FFRL in cooperation with YWAM (Youth with a Mission) held a bridge building event for Lebanese, Palestinian and Syrian youth in Lebanon. This is the same youth that we as FFRL have worked with for the past 4 months to educate on peacebuilding and conflict resolution through our forgiveness based curriculum. 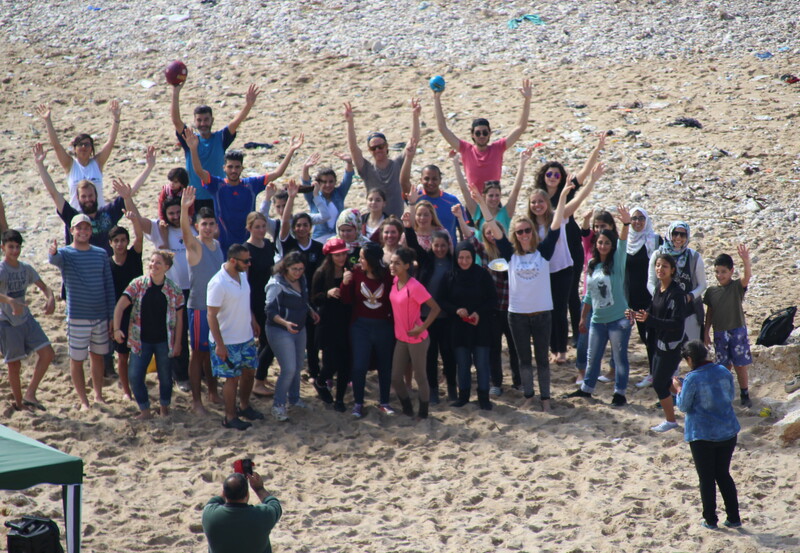 With the help of a small group of volunteers from France and around 30 youth from Lebanon we spent an unforgettable day at the beach with loads of fun activities, overcoming hostility and breaking down barriers of sectarian division in Lebanon. We are very pleased to say that our first bridge building event was a huge success. When the groups had arrived we started with a selection of team building games in order for them to get to know each other better. For some of the youth this was the first time they have done such activities at the beach but after a while insecurities were overcome and everyone enjoyed themselves. It was great to see these young people from all different backgrounds running to grab wood for the fire. Roula one of our staff shared about her experiences during the Lebanese civil war, how she hated Syrians and Palestinians for what they did to her country and family and how she eventually learned to love these people and view them through a common humanity. Everybody was listening very closely because this is exactly what most of the youth and their families have experienced in the past and are still experiencing today. This amazing day ended with food (of course! ), Arabic dancing and some surfing lessons. It was incredible how good the atmosphere was among the Palestinian, Syrian and Lebanese youth, even though all of them have experienced various tensions with the other, whether direct or as a result of narratives passed down to them. 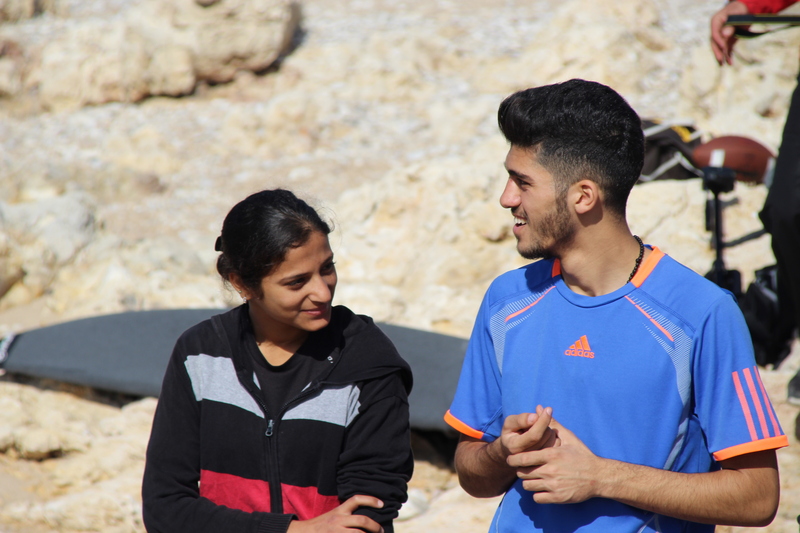 The leader of the Palestinian youth group was so thrilled about this remarkable day and expressed his thankfulness, such an experience was even new to him and he encouraged us to continue with our work. This was indeed a day to remember as one of the Palestinian girls said later, hopefully there will be many more to come.